With an Introduction by Joanna Trollope. 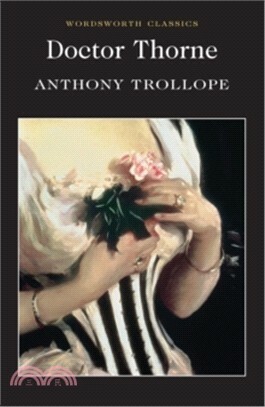 Trollope's delightful novel recounts the fortunes of Doctor Thorne, an upright and principled country doctor, and his niece Mary. She falls in love with Frank Gresham, heir to the heavily mortgaged Greshambury estate, but he is constrained in his choices by the need to marry well so that he can restore the family fortunes. The vicissitudes of Mary and Frank's courtship are lovingly detailed with all the wit and satire that show Trollope at his finest. In this social comedy, full of snobbery, hypocrisy and self-seeking, we meet characters from the city and cathedral of Barchester, and are introduced to the grandiloquent de Courcy family, whose pretensions mark its members among the author's most felicitous creations, as well as the down-to-earth heiress Miss Dunstable and the deplorable Sir Roger Scatcherd.